Pink Information with Red Hot Entertainment! 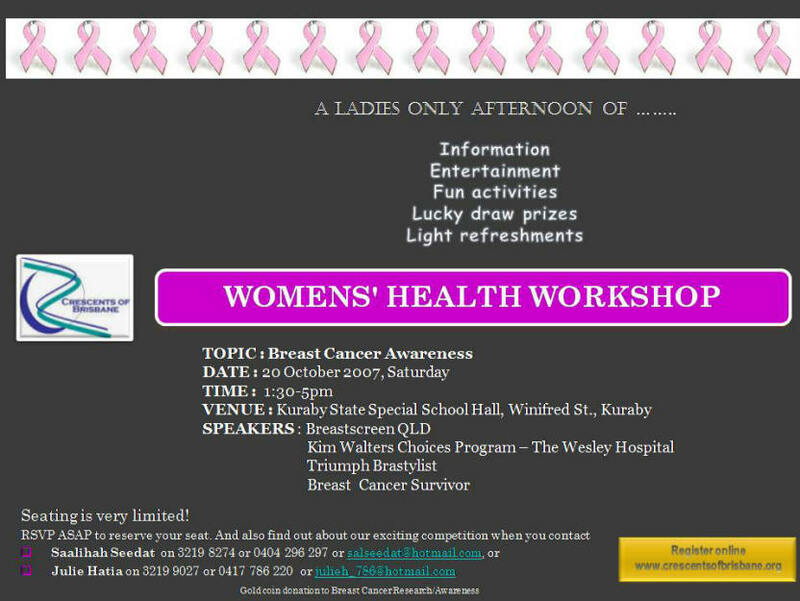 This was the Breast Cancer Awareness Workshop attended by many and enjoyed by all. It was plain to see that much effort had been put into every aspect of the events of the day. The ambience of the hall and organisation of the programme, complimented with the culinary delights on offer, pay testimony to the above. We were well addressed by various speakers; some taking the medical point of departure, detailing the signs and symptoms of early detection, coupled with the various methods of maintaining awareness. Practical demonstrations along with startling facts and audiovisual media, served to further educate and inform the audience of the urgency of awareness. A very inspiring talk by a breast cancer survivor, brought forward the emotion, resilience, and humility shared by all those touched by cancers, whether directly or indirectly. Later in the day, a pleasant relaxation exercise offered many an unexpected listener a few moments to unwind. Competitions were a plenty, creativity was awarded, along with many random lucky draws. Finally, we were treated to a fiesta of scrumptious drinks and gourmet sandwiches, with sufficient time and space to meet and greet. We were equally fortunate to be able to use the volume of leftovers to feed some of the cities' homeless. Alhamdulillah, the entire event was wonderful! Crescents of Brisbane wishes to thank Saalihah Seedat (the brain child and driving force behind this initiative), Shahina Omar, Shaida Gutta, Jamilah Solwa, and Ayesha Sabdia for the work they put into getting this workshop together and for their boundless creativity and imagination.